I was not financially compensated, however I received items for review purposes. The opinions are my own based on my experience. We all know how exhausted we can be at the end of a full day of work, school and extra-curricular activities. As if beating traffic isn't already enough, we have to go home and prepare a nutritious meal for ourselves and our families. Well, I may just have a solution for you! 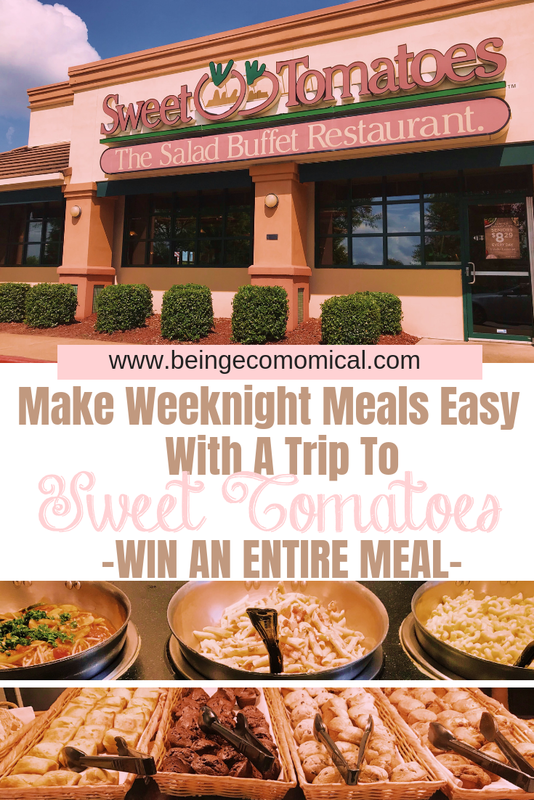 If you're in the metro-Atlanta area, Sweet Tomatoes is a great alternative to weeknight meals. 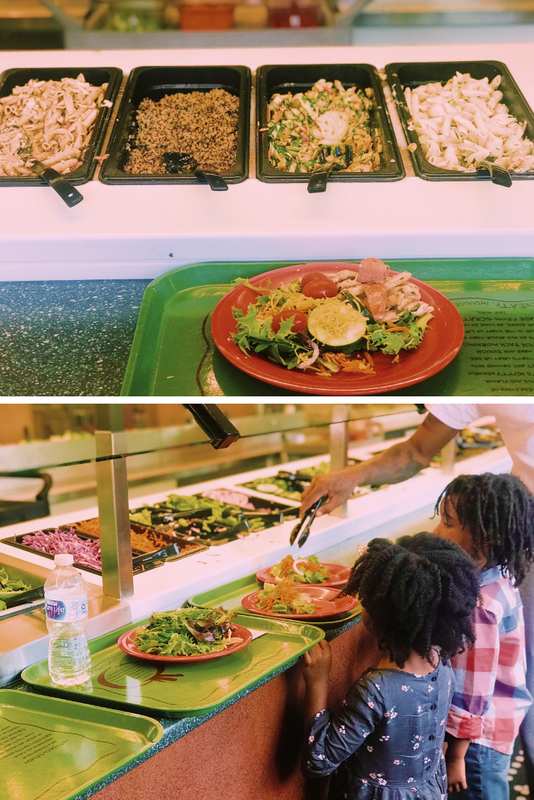 Sweet Tomatoes believes that eating fresh, healthy, wholesome foods is an important part of leading a well-balanced life. Their menu items are farm fresh and made from scratch. You can read more of their mission statement, here. Walking into the restaurant, you can smell the aroma of freshly baked bread and soup. You're greeted with smiles and hello's and a massive 50-ft, self-serve, salad bar, made from scratch soups, hot pastas, freshly baked breads, muffins, desserts and more! Kids can now eat free every Tuesday with the purchase of an adult meal and seniors can also enjoy an all-you-can eat meal and beverage for only $8.29 every day from 2-5PM, so the entire family can gather together! My personal favorites were the ranch salad dressing, all of the pastas (because you can't just have one) and the freshly baked breads. My little ones enjoyed the delicious soups and the desserts, of course. While my significant other enjoyed the entire experience overall. Sweet Tomatoes is truly for everyone and we didn't feel overly-full upon leaving. 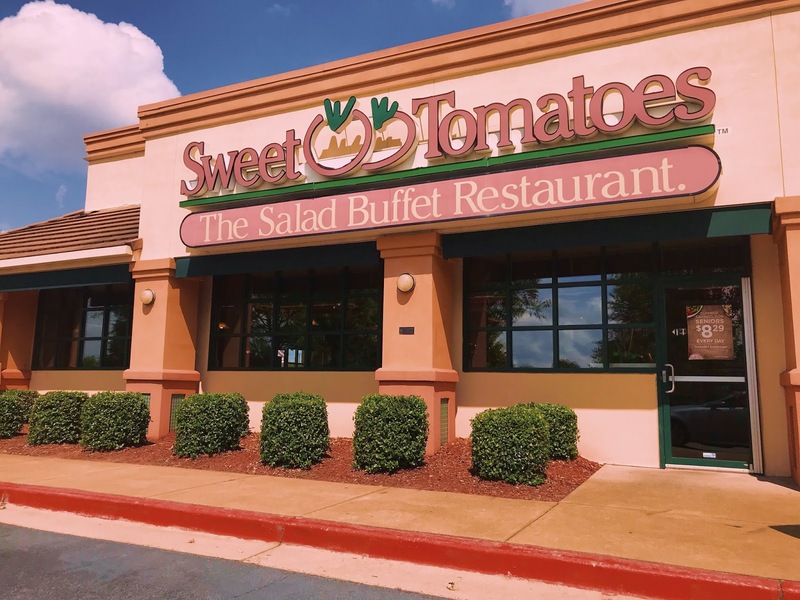 When we visit restaurants, we also liked to be treated well and Sweet Tomatoes' staff didn't disappoint. We were greeted several times by the manager and our server was always there to help us get the most out of our experience. She also made sure our table was clean after every visit to the buffet. One sitting is almost impossible, when you have so many freshly made foods around you. 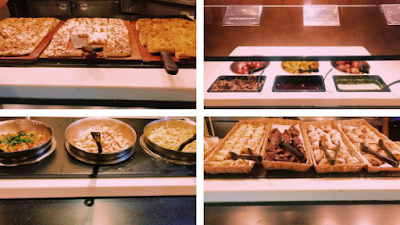 We were able to taste several soups, the Cream of Mushroom was the family favorite- a variation of pastas (both hot and cold) and we almost ate the entire pan of the Cheesy Garlic Focaccia bread - all of which is made in-house! But don't worry, they always bring out more. 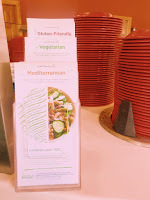 Being able to enjoy a healthy and fulfilling meal made it an even nicer experience. That's not all folks, I have partnered with Sweet Tomatoes to give you the chance to have your own dine-in experience with your family and closest loved ones, at any participating Sweet Tomatoes location. 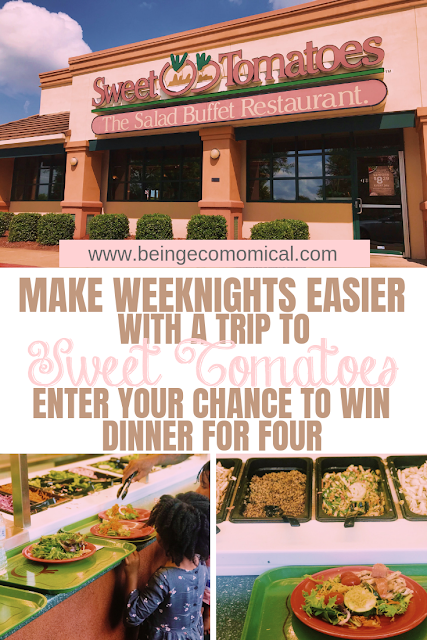 If you're in the Atlanta, California, Arizona, New Mexico, Colorado, Oregon, Texas, Florida, or Nevada area - feel free to enter for your chance to win FOUR comp cards that will cover the cost of lunch or dinner, minus the beverage. That's right! 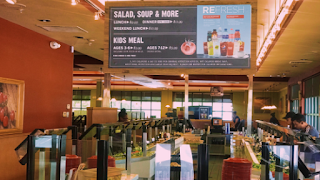 Four, free meals for you and your family to enjoy. Enter your chance to win below from now until October 4th.